If your firm has an area of expertise, it all works well while your clients require that service. However, when they need other services - services your firm does not provide - they will go to other firms. What if you could keep your clients even when they need services your firm does not offer? With 2PS, you can 'outsource' these services to consultants within our network, which will allow you to retain your firm's client. You will not need to worry about project payment rates or ever have to chase for a payment again! 2PS takes care of all your admin needs. We charge our clients an hourly rate, and pay an hourly rate to consultants. Clients buy the number of credits they want, and these credits are used to pay for hours of work of any consultant that works on their project. 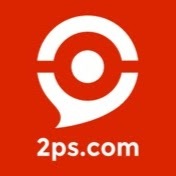 How does 2PS price consulting services? Invoices are automatically generated for clients when they order credits, and the client pays for the credits upfront. Of course, they agree on the work that needs to be done with the consultant leading their project, and if there are any disputes, 2PS has a buffer time in place to resolve any issues. Your consultants can be part of the 2PS network, and still work for your firm. They will just be billing their clients through our system. When you buy credits from 2PS, you can use them for any consultant in our network. This option is perfect if you have a few clients who occasionally need services you don't offer - you can ask a 2PS consultant to help your client out. Your consultants can become members of our network. This way, they will be able to collaborate with other consultants in the 2PS network, and you can easily track their progress with each client in our online platform. Your clients will pay for the services by buying credits on our platform. And 2PS will pay your firm for the services your consultants provide. It is important to note that while the consultants indicate their affiliation with your firm (we call it a guild), for the 2PS scoring system, they will be considered as independents. More information about our scoring system is available here. To discuss either of these opportunities, give us a call on +1 855 907 0735. Already part of a global or industry-specific business alliance? See what 2PS can do.